San Francisco Giants catcher Buster Posey has done it all in his short Major League Baseball career. In 2010, he was named National League (NL) Rookie of the Year. 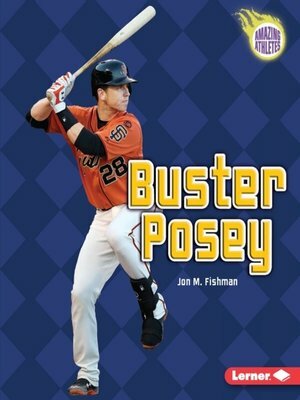 In 2012, Buster won the NL batting title and was named NL Most Valuable Player. But Buster has done more than just collect individual baseball awards. The Giants have won the World Series three times with Buster behind the plate (2010, 2012, and 2014). Learn more about one of baseball's most successful players.